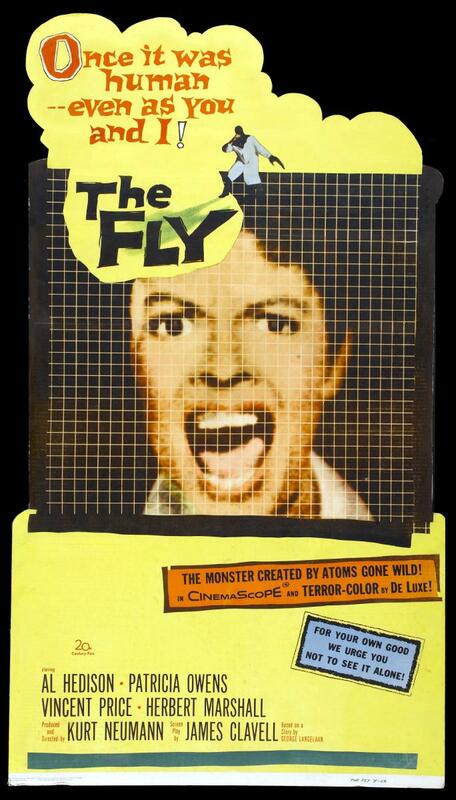 Friday October 23 7:30 PM THE FLY (1958) 94min. D: Kurt Neumann. A Canadian scientist (David Hedison) self-tests his atom-scrambling teleportation device with unforgettably monstrous results. This cult shocker written by James Clavell was a box office smash that spawned a pair of sequels while giving new meaning to “Please help me!” Also starring Vincent Price, Herbert Marshall and Patricia Owens. Filmed in Cinemascope.